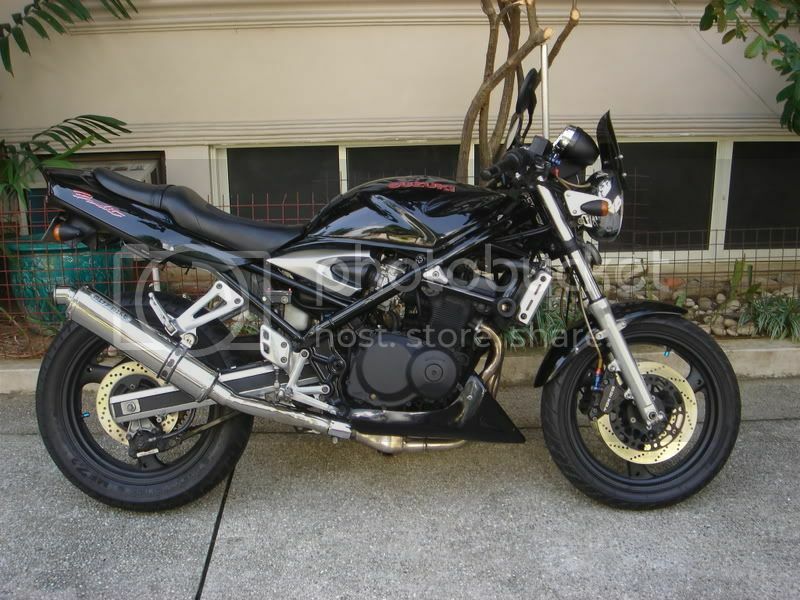 a long list of wants...rgv swingarm, gsxr750 front....short list of bank notes! This should be an image of my New Bandit! 400 import, Maroon / Red with just under 3000k on the clock. Can't wait to get it out on the road, one or two things just holding me back at the moment. 1991 Canada version, w/ 27500 km. 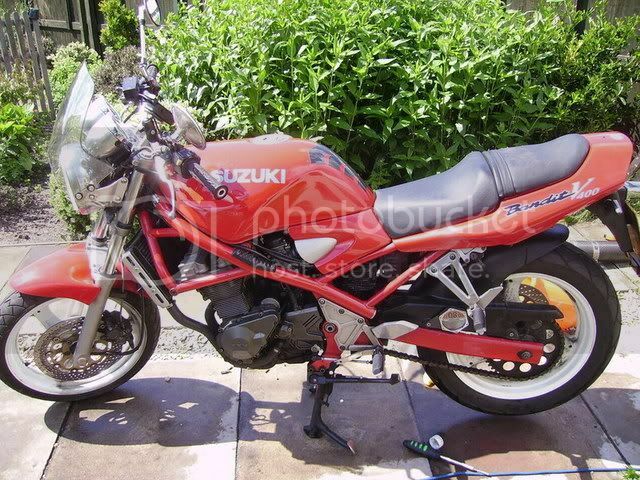 Have been wanting one for many years, even though I my other bikes are a Falco Fighter and Laverda Ghost, I was in a position to buy this one so I did! The bike's just about stock, but I've only owned for a few months so the fun has just begun! My sweet little bandit is 15 years old and she has 46500 km,I bought it 7 months ago but due to some personal problems I ride her only for the pst 2 months,She is black and she is in a pretty bad condition,This is going to change as soon as I'll have my car repaired(I really hope before christmass).She has white rims. -Head fairing "not mounted yet"
Still pretty stock, but waiting for the cash flow to free up a little before I do major work on her. Last time I tried to post, I took too long to spit it all out and got logged out before posting. I own two red '93's. One stocker and one rocker. 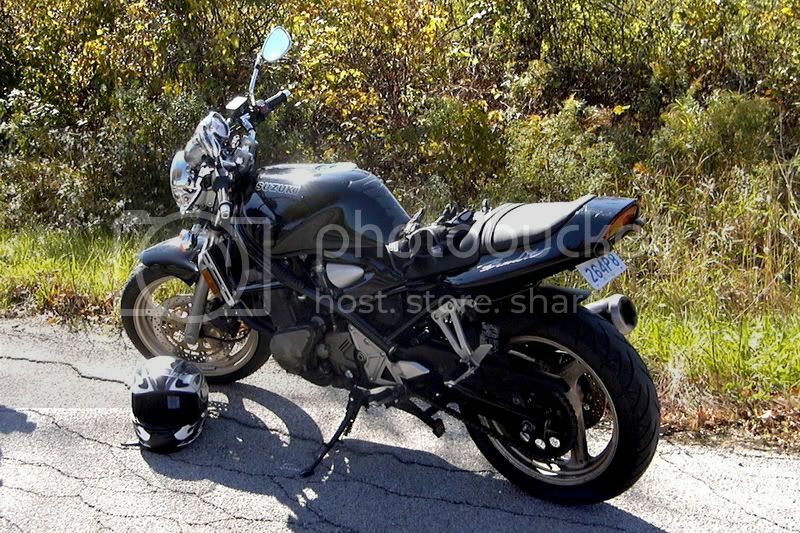 The first one sports a '02 YZF600 front end and an '01 GSX-R750 rear shock. Bought it with a Yosh F/S and a rear cowl. The second arrived a year later bone stock. The stock bike has become an engine donor for the meantime. I am rebuilding the orig. first engine as it gave up the ghost at 75K. I live in Phoenix, ride year round, and manage the parts department for a MC dealership. I like to think I know my stuff. Well heres my b4 now ive got it cleaned up. 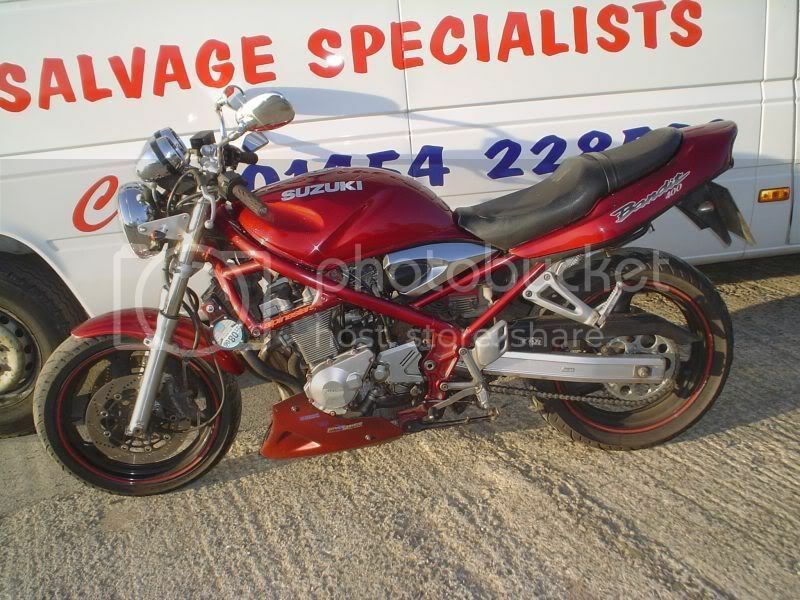 I got it for the bargain price of Â£450 and all it needed was a new chain and sprocket set and The carbs cleaning. 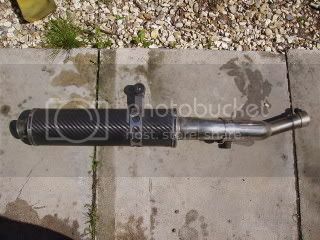 Im now on the hunt for a belly pan, a set of handlebar style top yokes so i can fit a set of renthal bars. Then maybe a set of twin lights and a screen to finish it off. Next year sometime ill get the wheels powdercoated orange as its a bit plain at the moment. 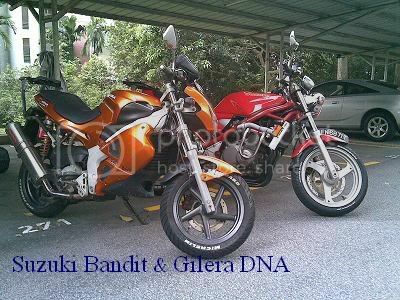 The can sounds really great too... had one on my previous 250cc Bandit as well. Mines a Completely black 1994 Variable valve model imported from japan. My first 'big bike'. Its stock apart from bug-eye lights, remus hugger, and a not-so-legal remus evolution end can. Only cost me Â£200 for the bike and another Â£200 for work done. Bargain of the century! Goes to show; its not what you know but who you know. She's a beauty but she hates me and only runs when she feels like it. Have ya ever drunk Baileys from a shoe? IM OLD GREGG!!! Is it just me or are some car drivers out to kill us??? Dont get a dynojet stage 1 engine kit buy a factory pro titanium one as the needles last longer. Here's my '91 Bandit, which I am currently in the process of cleaning up. She's got a Laser full system with carbon can, braided front brake lines and I'll be re-jetting next weekend.